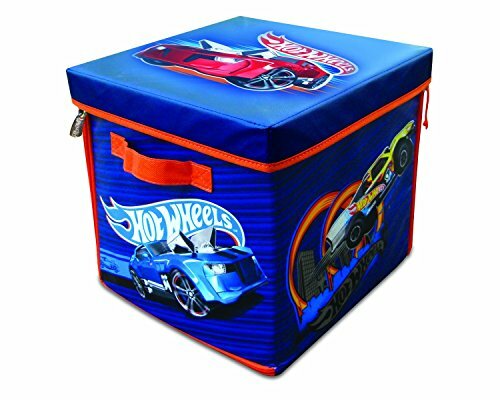 Hot Wheels cars are great fun, but moms always need a few more Hot Wheels storage ideas. 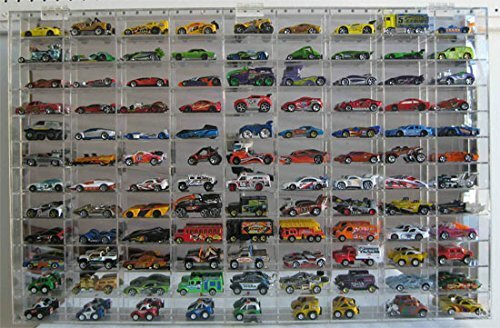 Boys love to collect these cars and play with them for hours — on the living room rug, in their rooms, outside in the dirt. Their imaginations are boundless – if it involves cars, most little boys simply do not tire of them. They just want more! And so they collect them. And the Hot Wheels collection grows and grows. 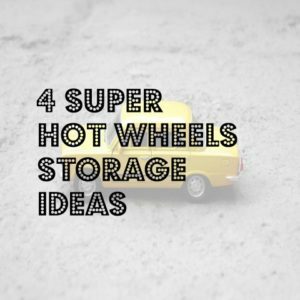 As parents and grandparents, we now have the opportunity to study Pinterest and discover creative ideas for Hot Wheels storage. On this page, you will find the results of my time on Pinterest today. I found 4 distinct ideas that seem do-able. Do click on your favorites and give them some Pinterest love. Your click will take you to the right spot on Pinterest to do that. I hope you enjoy my selection. 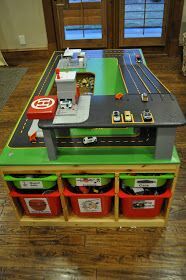 This super play table for hot wheels is one of the best hot wheels storage ideas I have seen. 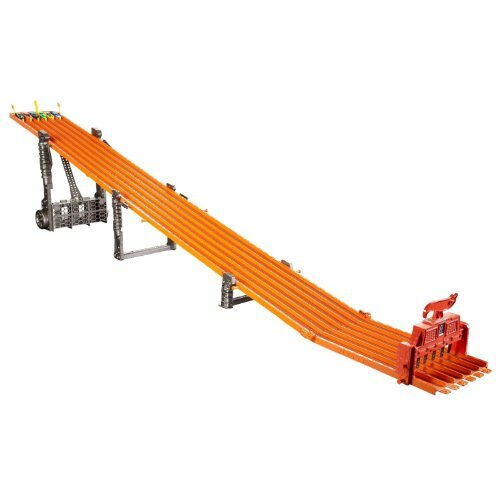 It provides plenty of room for the race tracks, off the floor so that they can stay set up all the time, and tons of storage underneath for all the cars and the race tracks. 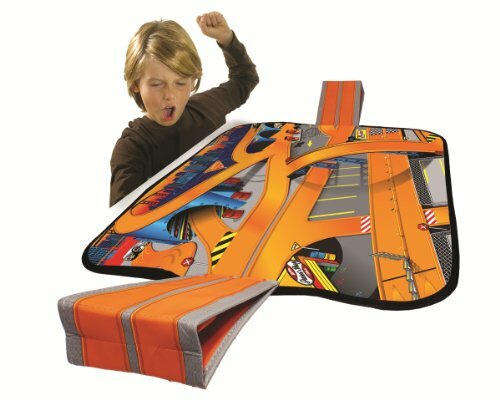 In fact, if you were decorating a room with a Hot Wheels theme, this table would be perfect! 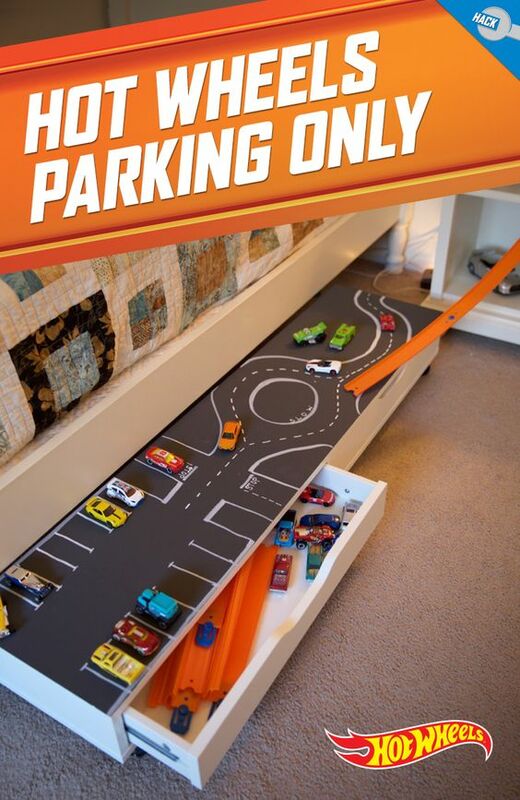 Great Hot Wheels Storage Idea — and Play Idea, Too! 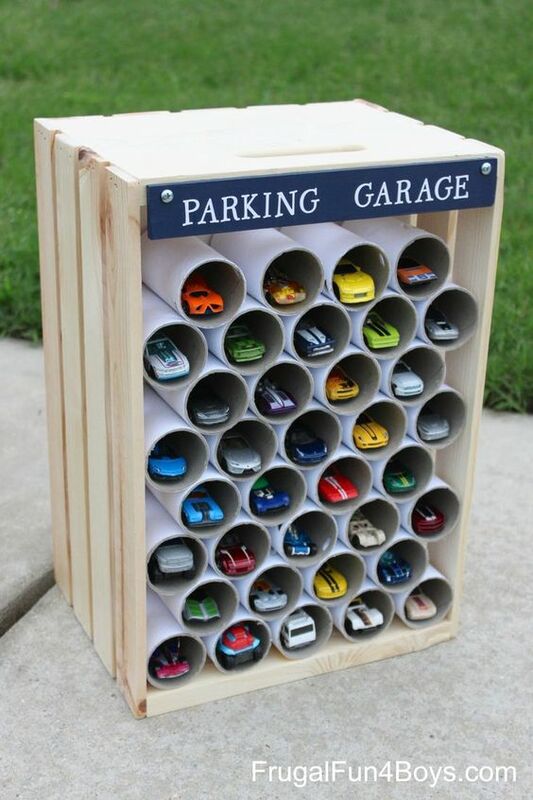 I love this idea – when your child is too old to have his Hot Wheels out every day, but is not quite ready to give them up, this is the solution. 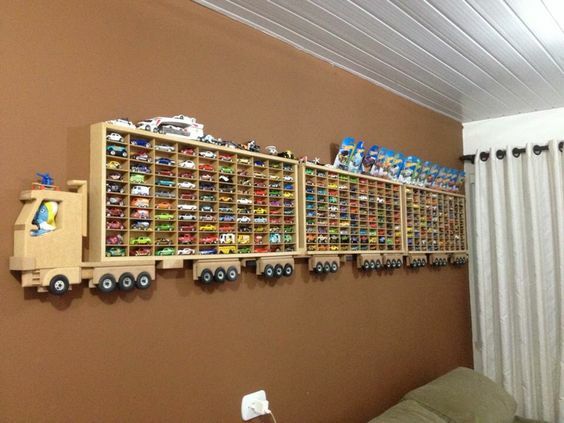 Great wall decoration and super storage for all those cars! I wish I had thought about this when our son outgrew his Hot Wheels. Even his messiest buddies will want to help park cars when play time is over! You could even name the parking garage with his name for a personal touch. There is absolutely no question this is where his cars belong at the end of the day. A great help for cleanup and a fun car accessory too. This one really looks easy to make. And would be such a cute gift for birthdays — especially with some shiny new cars already parked. Yes, I am partial to these combination storage and play areas. 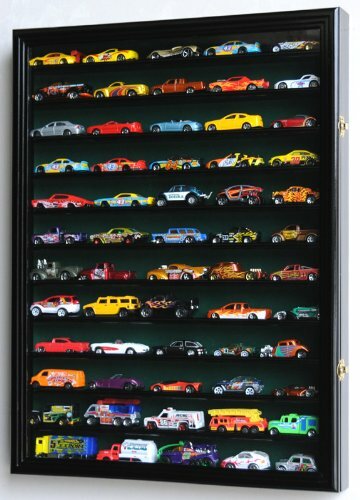 I spent too many hours picking up Hot Wheels and Match Box cars back in the day. I tried plastic buckets, baskets, boxes, dresser drawers — but that is no longer necessary. 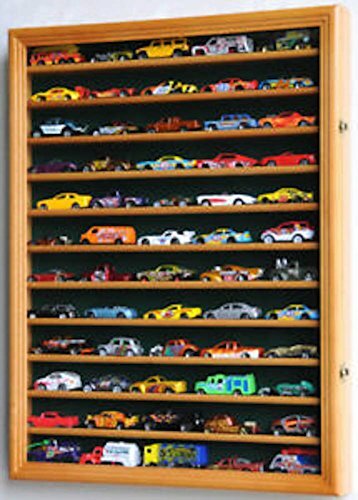 These Hot Wheels storage ideas are absolutely wonderful! 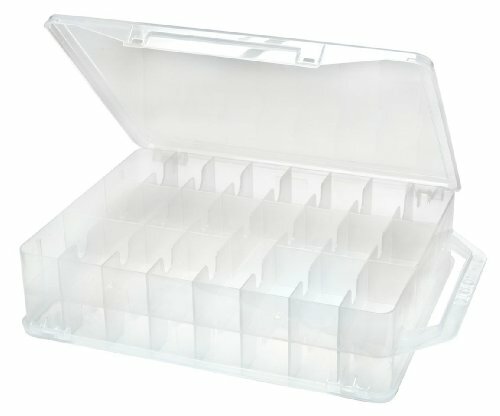 Grandparents and/or parents can simplify toy cleanup with a gift like this that combines storage and play. 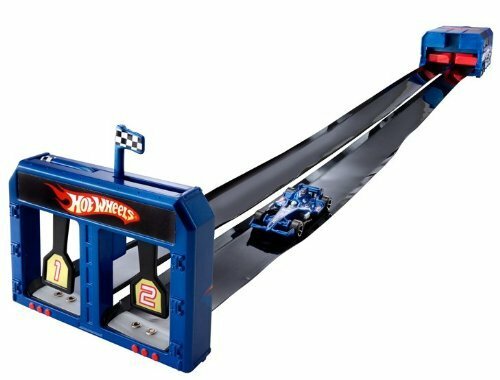 I am sure I am not the only mom who has experienced the agony of stepping barefoot on a Hot Wheels car after lights out. Anything that prevents that from happening again is a great gift for mom, too!